The Branch Team was recently named as Top Residential Real Estate Producers in Dallas by D Magazine. 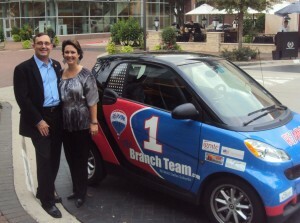 The dynamic duo of Tom and Gina Branch were recognized for closing more than $15 million in sales in 2011. Tom and Gina go way back to DallasDirt days with Candy. We chatted recently with Tom Branch for updates and to find out more about their special approach to real estate sales. CD: Where are you two lovebirds from? Tom: I was a military brat born in Paris, France. I’ve been on the move pretty much ever since including 21 years of military service before I left. Gina is a native from South Texas. She left the state briefly for a job in Tennessee and came back as soon as she could. We love Texas and have no plans to leave. 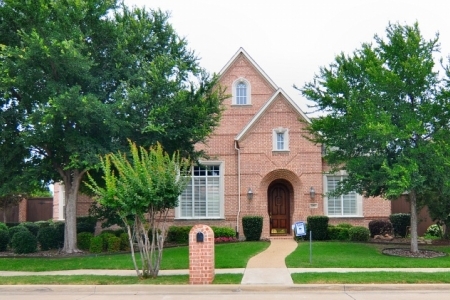 Tom: We live in the far North Plano neighborhood of Ridgeview Ranch which is a master planned golf community. CD: Cool! And you drive a… let me guess, a hybrid Mercedes Benz??? Tom: Nope! We have two cars – a smart car that is wrapped in our advertising and a Volvo S60. The smart car makes people smile when we drive up. We had one of the very first in the Dallas area and it was an immediate hit. People come over to look at the car all the time. We’ve found it to be a powerful and fun marketing tool for our business. Tom: It is hard to pick a favorite. Of course we love Ridgeview Ranch, but we’re also big fans of Stonebridge Ranch in McKinney, Twin Creeks and Fall Creek neighborhoods in Allen. There’s so much going on in these neighborhoods and they are growing like crazy. CD: If you could live anywhere else in the Metroplex, where would it be? Tom: After our kids are gone to college, it would be fun to try high- rise living in the Turtle Creek area of Dallas. There’s a new and exciting vibrancy to the downtown area and it would be great to walk to restaurants, shopping, movies and cultural events. CD: How the heck did you get started in Real Estate? Tom: After I retired from the military, I knew I wanted to use the sales skills I’d developed as a recruiter. I spent time in the hospitality industry working with Hilton Hotels. I realized that the key to success for Hilton and other great hotel chains is to provide a consistency of experience for the customer. Travelers appreciate the service they get and they know what to expect so they choose Hilton hotels again and again. Hilton carefully manages its brand and performs consistently. I took these principles forward with me when I decided to go into business for myself. I got into residential real estate through a friend who had an independent agency in Allen. In 2005, we launched Realty Revolution LLC and grew it quickly to 35 agents. For the next four years we specialized in short sales. We even wrote a book about it for our customers called Avoiding Foreclosure – The Field Guide to Short Sales. In 2009, Gina and I sensed a shift in the industry. 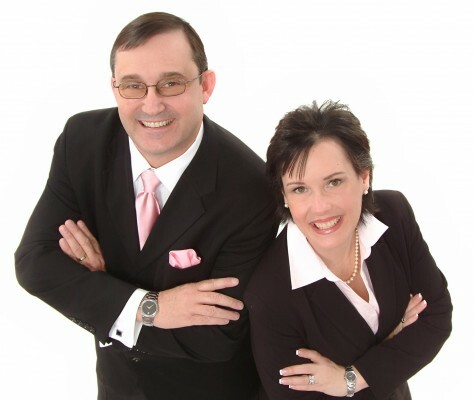 We wanted to get out of management and back to selling so we joined RE/MAX Dallas Suburbs. Our production tripled that first year. We sensed a change was coming again in 2010 and that our market was rebounding which is when we re-focused to more traditional sales. Short-sales are only about 10% of our business today. CD: What was your best/highest sale? Tom: We don’t measure our success in terms of commissions earned. One of our most memorable sales was an older lady who was displaced during Katrina. She was 76 years old and we helped her purchase her first home. It was a wonderful experience and we became good friends. CD: What was your hardest sale? Tom: I don’t have one particular sale that stands out as the “hardest” or “worst,” but I will say that during our days of short sales we learned that the smaller the transaction, the harder it seemed to be. It not only took just as much work as a large transaction, we often had double the trouble with the bank to get it done. Tom: We’ve gone from listing to closing in 8 days – especially recently with the furious rate of sales going on up here in Collin County. Tom: Last year we sold around $15 million. This year we are on track for $18 million. I always find answers to questions like that misleading. What is really meaningful to most small business owners – and other realtors – is how much of that did we keep? Gina and I set up our business practices consistently – just like Hilton – from a customer perspective, and efficiently from a business perspective. So many people get into real estate looking to make commissions without a real understanding of how a business works and how they can keep more of what they make. We wrote a business book about it called Achieving Rock Star Status. CD: Just the two of you? Wow. What are your secrets to marketing a house? Tom: We’re planning to hire an assistant in 2013, it is getting to be a lot! Selling a house is a beauty contest. We prepare our sellers and don’t put the house on the market until it is 100% ready. We hire a professional to stage their home and a professional to photograph it. We teach our sellers how to show their own homes because we recognize that people will stop by unexpectedly or that we won’t be there before the prospective buyer shows up. It is small stuff like “turn on all the lights before you leave,” but it makes a difference. By the time a home is listed, it is completely ready to be viewed which is good because many buyers won’t wait even a day for the open house if they’re interested in a house. 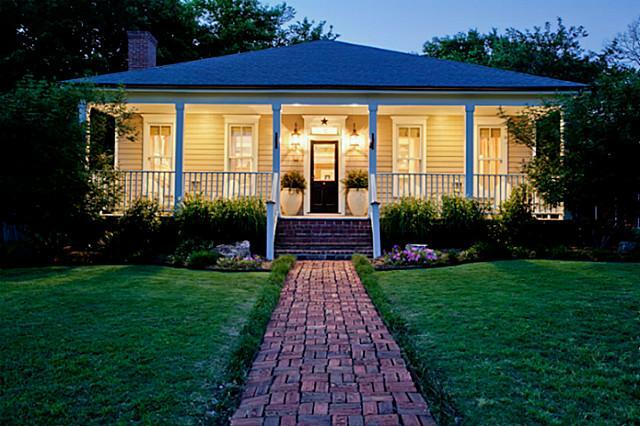 Our sellers’ homes look terrific and sell fast. We are sophisticated users of the Internet, especially CandysDirt.com, and make sure our homes with their beautiful pictures show up everywhere a buyer might look to conduct research, too. Tom: Be a photographer. Gina would love to be a full-time author. CD: Not like Paula Broadwell, we hope. Where is your second home? Tom: We have a condo in Las Vegas which we enjoy a lot. The only reason we can afford to keep going there for vacations is because we budget our gambling money and stop when it is gone. We’re thinking about something on the water for our next vacation home. CD: Oh boy, I know you’ll have Candy knocking on that door! Recently, a reader wrote to me asking if she should sell her home now, in the fall, or wait for spring. “I always thought the market went quiet in the fall, with everyone focused on the holidays,” she wrote. True, the market traditionally tapers off and most Realtors take their best (and longest) vacations in December. By now you probably know that I do a couple of real estate reports on Daybreak with Ron Corning, at 6:30 a.m. about twice monthly. Usually I get the houses I feature up as soon as I get back to my desk from Victory, but today was a busy day in the world of real estate reporting AND it was Krispy Kreme’s 75th anniversary. The topic this morning was Collin County. From the desk of agent extraordinaire Tom Branch, who sells the heck out of this area, comes word that closed sales in Collin County are up by 16.5%, and there are 20.4% more homes under contract this year than last. Days on the market are down 24%, almost a quarter, and this is good: new listings are up 28.3%. 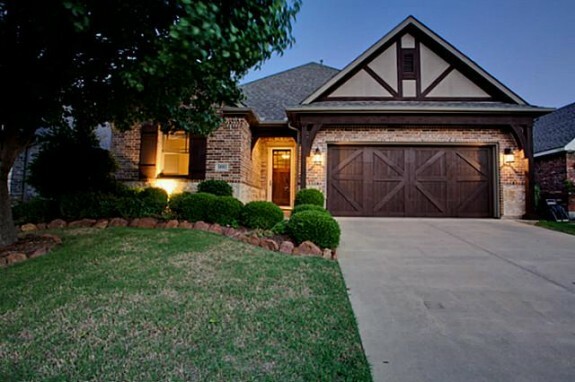 But here’s what you all want to hear: median sales prices in Collin County are up 1.8%. and 1725 Quarry Lane also in McKinney, darling, neat three/two with everything including a golf/swim club nearby for $219,599. Did not get to, but we love: 5032 Silver Lake Drive, five/five with lagoon pool, club membership, great location, and reduced to $699,900 from $739.900.